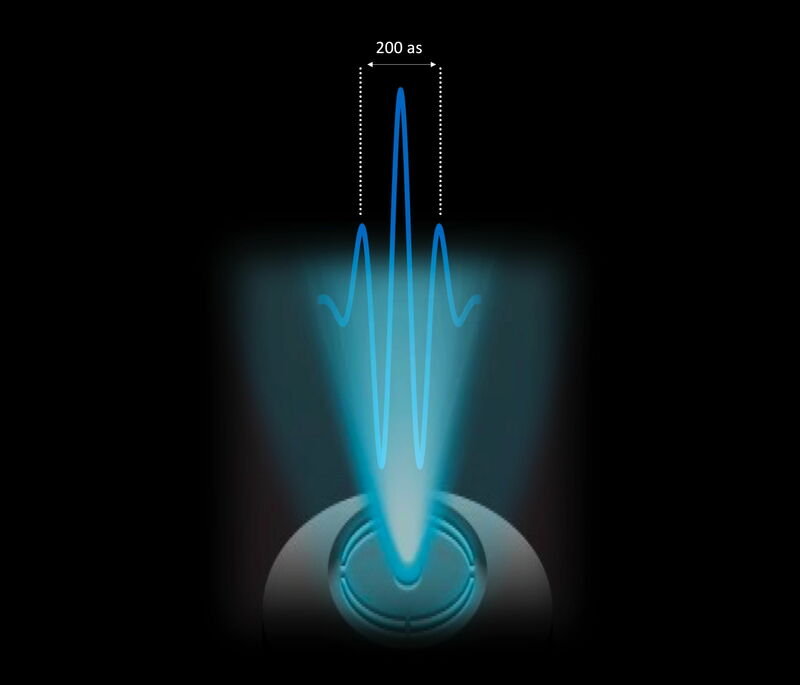 The fascinating concept of holography can be used to characterize extremely short light pulses. This novel approach is demonstrated by a research team of scientists from the Weizmann Institute of Science in Israel, CFEL/DESY, the institute for photonics and nanotechnology of the Italian Consiglio Nazionale delle Ricerche (CNR-IFN) and Politecnico di Milano in Italy. They report their all-optical characterization of attosecond pulses in the current issue of Nature Photonics, opening a new era for the holographic diagnostics of ultrashort extreme ultraviolet and X-ray laser pulses. The shortest light pulses generated so far have time durations in the order of a few tens of attoseconds. An attosecond is a billionth of a billionth of a second or 0,000 000 000 000 000 001 seconds (10-18s). 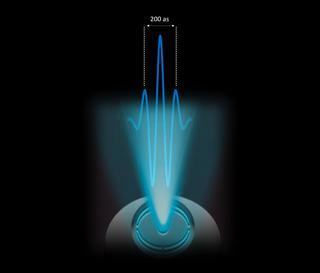 Attosecond light pulses are typically produced in the extreme ultraviolet (XUV) and soft X-ray energy ranges and they provide a unique tool to capture in real time the electronic motion in matter. The temporal characterization of these ultrashort flashes is a crucial prerequisite for performing time resolved measurements, and at the same time it is still extremely challenging. Indeed, optical methods cannot be easily extended to the X-ray domain where attosecond pulses are produced. Holography is based on the concept of imaging three-dimensional objects by using the interference produced by coherent light fields. In other words, an interference pattern generated by light waves is tuned to reproduce the surface profile of the object under investigation and to draw a realistic picture of it. Is it possible to transpose the holographic concept to the time domain and use it to image attosecond light pulses? DESY Lead Scientist Francesca Calegari, head of the attosecond science group at the Center for Free-Electron Laser Science CFEL, and her team approached this challenge in collaboration with the groups of Nirit Dudovich and Dan Oron from the Weizmann Institute, who theoretically proposed how to implement the holographic technique. The motivation was straightforward: usually, attosecond pulses cannot be characterized by using the conventional optical techniques exploited for visible or near-infrared pulses. Their duration can only be indirectly retrieved from carefully designed photoionization measurements. In other words, measuring an attosecond pulse has required a sophisticated experiment in itself so far. The joint team overcame this paradigm. They implemented a rather simple experimental setup in which the spectral intensity of two unknown attosecond pulses, routinely recorded in any attosecond laboratory, is analyzed together with their coherent interference. They demonstrated that the sum of these contributions behaves as a hologram, from which the temporal characteristics of the two unknown pulses can be reconstructed. This simple all-optical method allows for a real-time monitoring of all the pulse properties, taking attosecond metrology to a new era. "This technique is a promising tool for the characterization of other ultrafast light sources” comments Calegari. “For example, it may be extended in the future to free electron lasers.” This groundbreaking result opens new perspectives in measuring extremely short laser pulses even in the X-ray domain, setting a new cutting-edge milestone in laser metrology.